The blue whale is the largest animal to ever roam the Earth. The brain of a sperm whale weighs about 9 kilograms. Bowhead whales can live for 200 years. Gray whales swim around 12,000 miles each year while migrating from the Arctic to Mexico (“Facts About Whales”). Female beluga whales that lose a child will sometimes adopt an inanimate object as a surrogate baby (“Beluga Behavior”). Sperm whales can make sounds at 230 decibels; the human eardrum ruptures at 195 decibels (“Facts About Whales”). Whales are amazing creatures, but unfortunately, throughout American history whales have faced a myriad of problems that have threatened their survival. Initially, whales were at risk to whalers who intended to kill them for meat, oil, and other byproducts. Now, whales face immense levels of noise pollution that changes the behaviors of many whale species for the worse. I have always loved the ocean. One of my childhood dreams was to become a marine biologist. From when I was practically a baby and my parents would sing me “Baby Beluga”, to when I was nine or ten and went whale-watching for the first time, to last summer when I spent three weeks on the East Coast studying oceanography and maritime history, whales have always fascinated me. Whaling was the 5th biggest industry in America in the mid-1800’s. However, it was unusually short-lived, starting off in the 1830s, hitting its peak in the 1850s, and then had almost completely disappeared by the 1870s (Thompson). In the 1850s, America led the global whaling industry with a fleet of 640 ships, over three times those of the rest of the world (Thompson). During that period, whale products were found in countless everyday items such as paint, rope, perfume, umbrellas, corsets, typewriters, dog food, pianos, candles, children’s toys, hoop skirts, medicines, and countless others (Thompson; McNamara). The actual whaling process was extremely dangerous, so initially, whale populations were not majorly impacted. But, as the industry progressed and technology was refined, shipbuilding modernized, cartography and ocean navigation developed further, and harpoons became more and more advanced (“History of Whaling”). With these improvements, more whales were killed and their populations started to drop dramatically (“History of Whaling”). Due to the discovery and increased production of petroleum, heightened competition, and an inability to keep up with the technological improvements of other nations, the American whaling industry lost steam (Thompson). However, the global whaling industry continued to flourish, and many whale species were facing extinction. The International Whaling Commission (IWC) was created in 1946 to protect whales, but the “sustainable quotas” they had set for the global industry were not enforced, so whales were still killed at incredibly high rates (Brayton). In the 1970s and 1980s, the Save the Whales movement started, backed mainly by Greenpeace, an organization committed to helping the environment through peaceful activism (McCarthy; “About”). 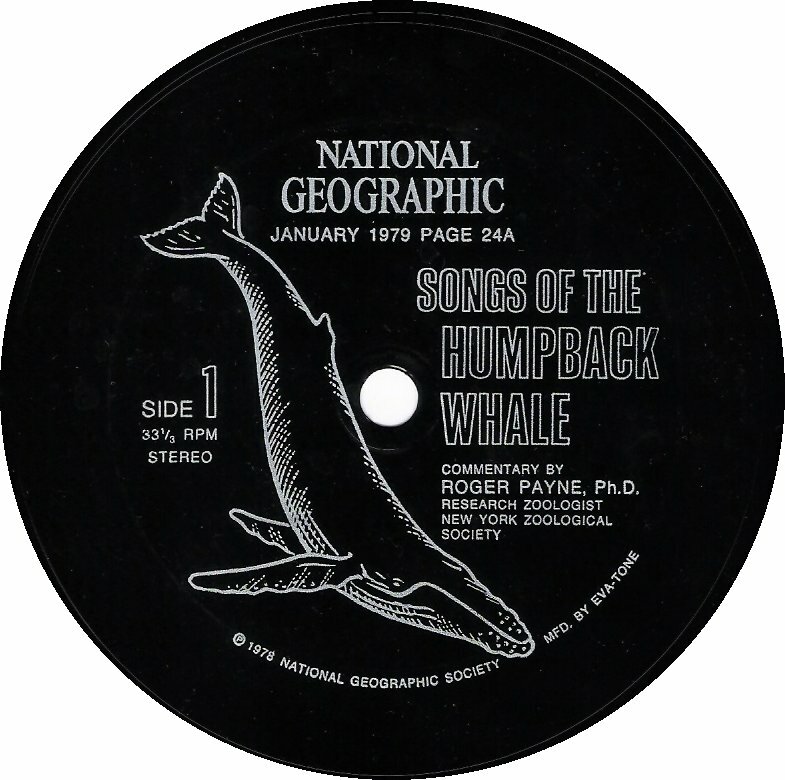 In 1970, biologist Roger Payne released an album, titled “Songs of the Humpback Whale”, which sold millions of copies, and started bringing public awareness to the plight of the whales (Hanlon). In the early 1970s, Greenpeace volunteers started going out into the open ocean on small rubber boats to physically put themselves between the whales and the whalers (McCarthy). These missions were televised, and more and more American people pushed for change to “save the whales” (McCarthy). Finally, in 1986, due to public outcry caused by the alarmingly low whale populations, the IWC officially enforced a moratorium on whaling (Brayton). This moratorium is re-reviewed and re-voted every few years, but still stands as of this year, and most whale populations are growing again (Brayton). Nevertheless, there are still other issues facing whales today. Currently, noise pollution poses a major threat to the health, behavior, and general survival of the world’s whales. Noise pollution in today’s oceans is caused mainly by ship traffic and offshore oil surveying (Schiffman). The sounds of propellers, as well as the noise from the internal mechanics of ships create a cacophony in the oceans (Schiffman). Commercial shipping is becoming more and more common, and noise pollution from ships has been doubling every 10 years (Schiffman). There was a five year moratorium on American offshore oil drilling put into place by President Obama, which banned offshore drilling in almost 98% of the government’s Arctic Waters (VanWyhe). Though this moratorium outlawed the actual drilling of oil, companies were still allowed to look for oil and gas reserves under the seafloor (Schiffman). The most common method for this is by the use of seismic air guns. Explosions are set off every nine to twelve seconds that echo off the seafloor, and corporations are able to map out the locations of possible fossil fuel reserves (Schiffman). These “acoustical testing[s]” can last for weeks, or even months (Schiffman). The moratorium was reversed last April by the Trump Administration in order to create jobs and increase the role of the United States in the world’s oil and gas markets (VanWyhe). Though this reversal will be good for the economy, there will be even more noise in these waters. To learn more about how seismic surveys impact marine animals, watch the video below. Noise pollution has had increasingly terrible effects on whales in the last couple decades. Research from 2017 found that the “average intensity of noise next to ships is…about the sound of a loud rock concert” (“Underwater Noise Threatens Fish as Well as Dolphins and Whales.”). Whales rely almost solely on their hearing; they use echolocation to communicate with their families and other members of their pod, as well as to understand their surroundings (Schiffman). With all of the noise in today’s oceans, whales cannot hear as well as they need to. Female whales cannot hear male whales who want to mate, and therefore whale reproduction rates are declining. Whale pods that split up to efficiently locate food cannot properly communicate the nature of their finds (Schiffman). Whales are forced to avoid locations where they know there is a lot of noise pollution, taking the long way around, and they waste energy they should be using to mate or find food (Weiler). Moreover, noise pollution causes chronic stress in many whale species (Schiffman). A study analyzing hormone levels in whale poop found that the stress levels of whales dropped drastically immediately after 9/11, because American ship and aircraft traffic had almost stopped, and the oceans were significantly quieter (Schiffman). These high levels of noise pollution have led to death for some whale species. Right whales are “uniquely disposed [to] swim towards boat noises”, and they frequently crash into ships and die (Wolford). Moreover, beaked whales, who are the most sensitive to sound, dive to extreme depths to get food. However, when there are loud noises, they dive even deeper and can get decompression sickness and die (Wolford). There has also been evidence suggesting that extremely loud noise pollution leads to mass strandings, because the whales will do whatever they can to avoid sounds that they perceive as unusual, scary, or painful (Wolford; “Noise Pollution and Whale Behavior.”). These whales can get confused and then strand themselves intentionally or accidentally (“Noise Pollution and Whale Behavior.”). There are ways to remedy this situation, but they have to happen soon, before further damage is done. Firstly, to combat noise from ship traffic, technology is being developed, such as low noise propulsion systems, which reduces the size and the speed of the propellers on ships, lowering an individual ship’s sound by 400 to 600 percent (Lubofsky). Implementing this technology would only cost the ship buyers approximately one percent of the total cost of the ship; however, incentives need to be created so that American ship buyers have a reason to reduce the noise from their ships (Lubofsky). Secondly, to reduce the noise created by drilling and surveying for oils and gases offshore, companies can start using quieter machinery, like marine vibroseis. Currently, seismic air guns are the most common device for underwater surveying (Schiffman). Explosions are set off around every ten seconds, and they can last weeks or even months, adding enormous amounts of noise to the oceans (Schiffman). Unlike the seismic air gun, marine vibroseis not only produces a much quieter and less intense sound, its frequencies can be adjusted as it is being used (Badelt). As the seismic air gun only goes off at one frequency, which is often louder than necessary, with the marine vibroseis, less excess sound would be poured into the oceans (Badelt). If solutions like these are accomplished, noise pollution in the oceans could be greatly diminished. Are you wondering where you can read more, volunteer, contact your congresspeople, or donate to help marine life and diminish noise pollution? Fortunately, there are numerous organizations dedicated to saving the whales. Here are just a few to spark your involvement. “About.” Greenpeace USA, Greenpeace, www.greenpeace.org/usa/about/. Badelt, Brad. “The Inventor of the Seismic Air Gun Is Trying to Supplant His Controversial Creation.” Hakai Magazine, 3 Dec. 2015, www.hakaimagazine.com/news/inventor-seismic-air-gun-trying-supplant-his-controversial-creation/. “Beluga Behavior.” Animals: Explore. Discover. Connect., SeaWorld Parks & Entertainment, seaworld.org/en/animal-info/animal-infobooks/beluga-whales/behavior. Brayton, Dan. SEA Education Association, August 2017, SEA High School Summer Program, Woods Hole, MA. Lecture. “Facts About Whales.” WDC, Whale and Dolphin Conservation, us.whales.org/whales-and-dolphins/facts-about-whales. Fan, Eric. 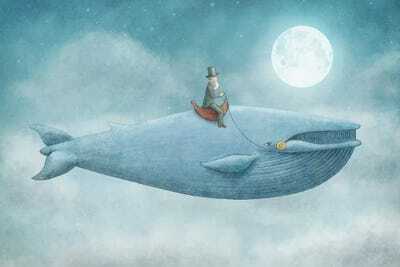 “Whale Rider.” Whale Rider – Canvas Print, ICanvas, www.icanvas.com/canvas-print/whale-rider-efn67#1PC3-40×26. Hanlon, Peter. “What Ever Happened To…Save the Whales?” GRACE Communications Foundation, 14 Sept. 2015, www.gracelinks.org/blog/6033/what-ever-happened-tosave-the-whales. 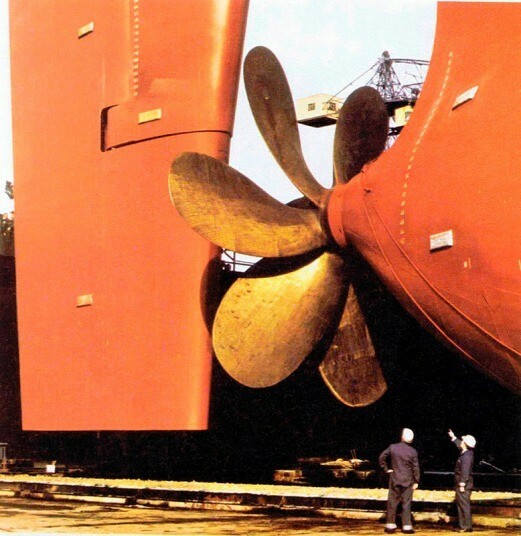 “Hapag Lloyed Owned Container Vessel Propeller.” 8 Biggest Ship Propellers in the World, Marine Insight, 9 Oct. 2017, www.marineinsight.com/tech/8-biggest-ship-propellers-in-the-world/. Hayes, Helen. 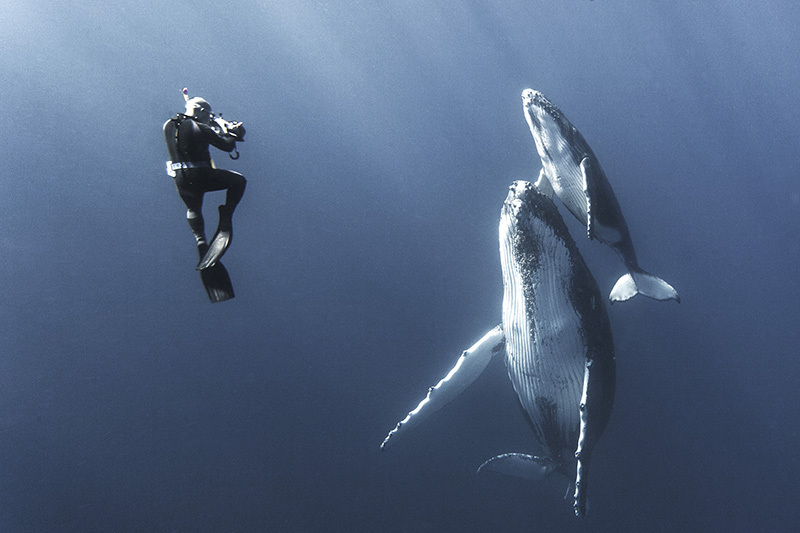 “Two Whales and a Diver.” Swim With Whales In Tonga, Vacations & Travel Magazine, 2 Feb. 2018, www.vacationsmag.com/swim-with-whales/. “History of Whaling.” Whale Facts, 2018, www.whalefacts.org/history-of-whaling/. “In 2009, More That 190 Whales and Dolphins Stranded Themselves on King Island.”Explainer: What Do We Know about Why Whales Strand Themselves?, The Conversation, 17 Nov. 2011, theconversation.com/explainer-what-do-we-know-about-why-whales-strand-themselves-4323. “International Whaling Commission.” Ethos: What Is Ethos?, The Cove: A Rhetorical Analysis, rhetoricalanalysis101.wordpress.com/ethos-2/. Lubofsky, Evan. “Commercial Ships Could Be Quieter, but They Aren’t.” Hakai Magazine, 10 Nov. 2016, www.hakaimagazine.com/news/commercial-ships-could-be-quieter-they-arent/. McCarthy, Michael. “A Badge of Honour: the Fight to Save the Whale.” Independent, 13 June 2012, www.independent.co.uk/environment/nature/a-badge-of-honour-the-fight-to-save-the-whale-7844987.html. McNamara, Robert. “What Products Were Made from Whales in the 1800s?” Whaling History, Whales in Danger Information Service, www.whales.org.au/history/Products_from_Whales.html. “Noise Pollution and Whale Behavior.” National Oceanic and Atmospheric Administration and Northeast Regional Ocean Council, National Oceanic and Atmospheric Administration, noaacontent.nroc.org/lesson13/l13la2.html. OceanCare. “Sad Whale With Noise Cancelling Headphones.” Ocean Noise Pollution Harms Marine Life From The Smallest To The Largest, Awesome Ocean, awesomeocean.com/conservation/noise-pollution-harms-marine-life/. Payne, Roger. “Song of The Humpback Whale Record .” Record Details, 45 Cat, www.45cat.com/record/evr6278axst. Rossignol, Kenneth. 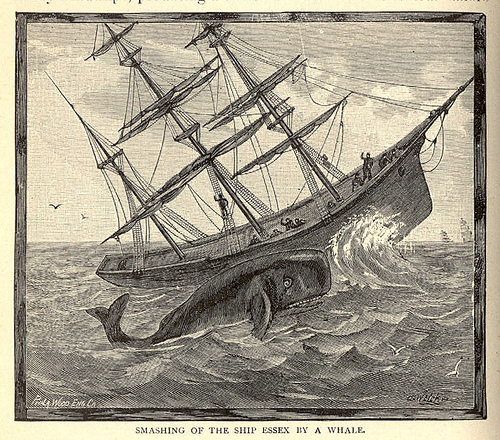 Smashing of the Ship Essex By A Whale. 13 Jan. 2013, www.youtube.com/watch?v=hUba4HITtI8/. Schiffman, Richard. “How Ocean Noise Pollution Wreaks Havoc on Marine Life.” Yale E360, 31 Mar. 2016, e360.yale.edu/features/how_ocean_noise_pollution_wreaks_havoc_on_marine_life. “Seismic Testing Is Torturing Marine Life.” Natural Resources Defense Council, YouTube, 29 Aug. 2016, www.youtube.com/watch?v=GFPTpbSFr74. “Sound Waves In The Ocean.” The Top 10 Best Blogs on Ocean Noise, Notey, www.notey.com/blogs/ocean-noise. Stewart, James. 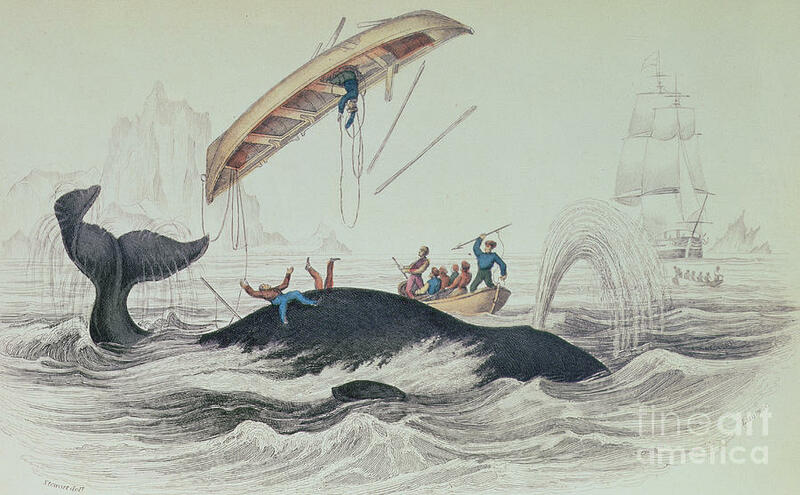 “Greenland Whale Book Illustration Engraved By William Home Lizars.”Fine Art America, 25 Apr. 2013, fineartamerica.com/featured/greenland-whale-book-illustration-engraved-by-william-home-lizars-james-stewart.html. Thompson, Derek. “The Spectacular Rise and Fall of U.S. Whaling: An Innovation Story.” The Atlantic, Atlantic Media Company, 22 Feb. 2012, www.theatlantic.com/business/archive/2012/02/the-spectacular-rise-and-fall-of-us-whaling-an-innovation-story/253355/. “Underwater Noise Threatens Fish as Well as Dolphins and Whales.” WDC, Whale and Dolphin Conservation, 2 Oct. 2017, \us.whales.org/news/2017/10/underwater-noise-threatens-fish-well-dolphins-and-whales. VanWyhe, Kimberly. “Executive Order: Offshore Drilling Back On.” American Action Forum,10 May 2017, www.americanactionforum.org/research/executive-order-offshore-drilling-back/. Weiler, Colleen. “Mayday Monday – Boat Traffic and Noise Pollution.” WDC, Whale and Dolphin Conservation, 29 Feb. 2016, us.whales.org/blog/2016/02/mayday-monday-boat-traffic-and-noise-pollution. Wolford, Ben. “Whales Are Being Killed By Noise Pollution.” Newsweek, 4 Feb. 2014, www.newsweek.com/2014/04/11/whales-are-being-killed-noise-pollution-248069.html. Hey! This is really interesting and it’s clear you put in a lot of effort because it’s so detailed. I also really like how you gave links at the end for what we can do to help contribute to the issue. Nice work! Interesting project page! I am also very interested in marine bio so feel strongly about this subject as well. I think you did a really great job at laying out an understanding of this issue and then expressing the need to change. I really liked how you went through the history to show how we’ve evolved to not care about whales whether it’s through hunting or noise pollution. This topic also feels very relevant and necessary to discuss in our current climate (political & literally) due to the lack of worry from most people about our environment and animals. I did not know much about this environmental/animal issue, so I found your page very educating! This was such an interesting topic because it relates to so many topics and current events like pollution, climate change, and biodiversity (or lack thereof). Is this in certain waters or is it a problem all over the world? 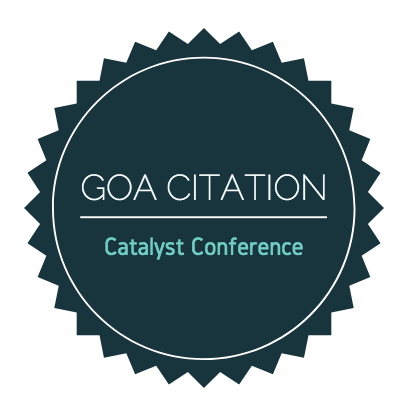 Loved this project Gayatri! 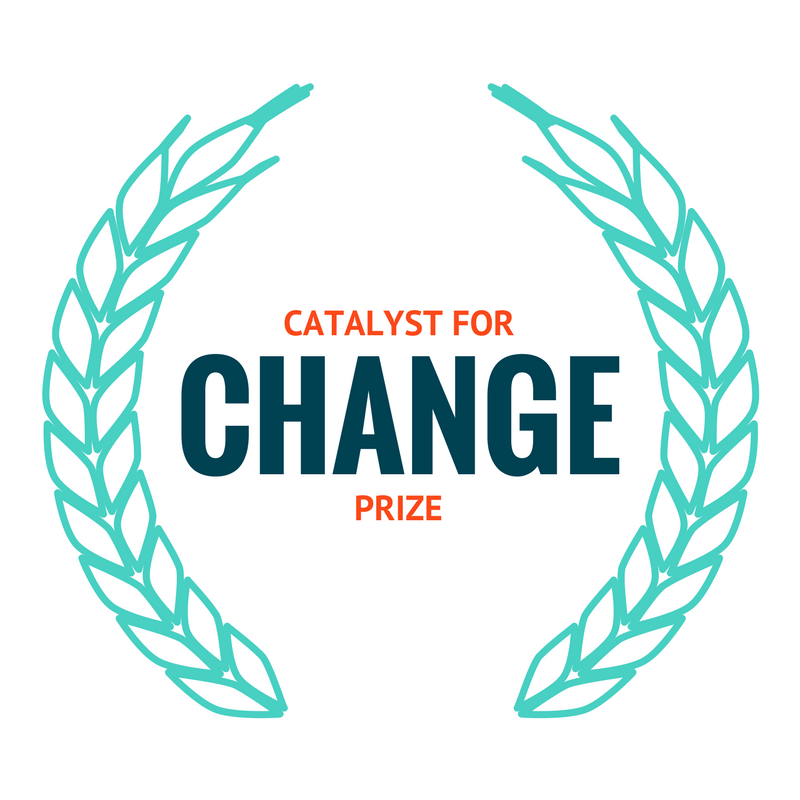 I really like how you took a topic that was of such high interest and turned it into a project for change. I really like all the visuals you included and the information that supported all your points. One question I had was, is this a problem just for whales or is it something that affects all marine life? and how can we go to help those creatures too?